Diamonds may be a girla��s best friend, but any old piece doesna��t cut it anymore. With sales increasing every year, it sometimes becomes harder to find bespoke pieces that will turn conversation starters. 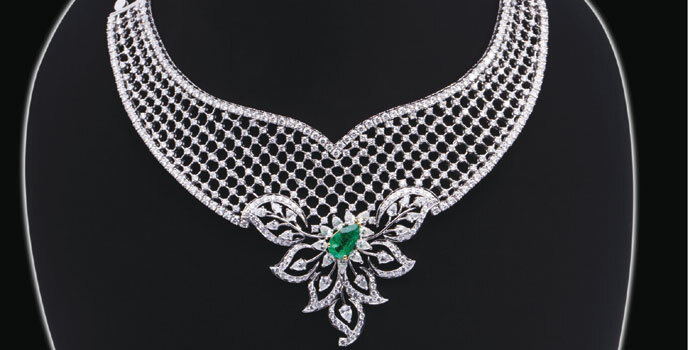 Thata��s where the luxe Maneck Jewels makes their marka��they are all about exclusive pieces. Focussing on the concept of the Navratna or nine gems (diamonds, rubies, emeralds, blue and yellow sapphires, coral, cata��s eye, hessonite and pearls), their jewellery has been designed exclusively by their in-house designers.